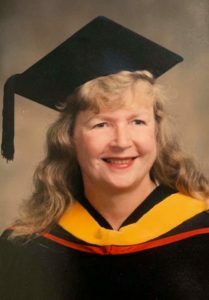 Williston – Marsha Carole (Drotz) Pilecek (June 20, 1941 – April 1, 2019) 77, passed away at 12:15 am on April 1, 2019 at Aiken Regional Medical Center, surrounded by loved ones. Marsha was an April Fool’s Day joker and seemed (to her family) to wait until it became April 1st to make her transition. She was read her last rites by Catholic priest Father O’Brien with the Chatham County Sheriff’s Office. Marsha was born in Indianapolis, Indiana to Robert and Gertrude (Kidwell) Drotz. She was intelligent and a very attractive woman, a blonde with movie star looks in her youth. She graduated from Emmerich Manuel High School in Indianapolis in 1959. Marsha then attended Perdue University in pursuit of becoming a veterinarian. It was at Purdue that she met and married Naval Officer Kenneth C. Pilecek. Marsha traveled extensively as a military spouse along with their first daughter Carmen, until settling down in South Plainfield, New Jersey shortly after the birth of their twins. She divorced in the mid-1970s and never remarried. Marsha was fun, funny and sweet, something everyone she met said about her, even the nurses at her final residence, Pruitt Health in Aiken, SC. As an adult, she found her groove with belly dancing. Marsha said her two favorite hobbies were horses and horsepower. She rode in sidesaddle shows and other horse events, even into her older years. It was fitting that she passed away in a town known for its horse culture. Marsha was a ground-breaker, including fixing cars when that wasn’t the norm for females, and being one of the first women to attend Rutgers University. She finally graduated college in 1996 after going back to school at Purdue University. Marsha composted in the 70’s and got others involved in gardening. She loved many types of music, including classical, opera and rock (David Bowie and Roger Daltry). Her jobs included veterinary assistant and EEG/EKG technician. She championed the right to vote, until ill-health kept her from being able to do so anymore. Marsha encouraged that and education with her children, and loved them unconditionally. She was beloved by the many who shared time with her. American Eskimo dogs were her favorite and Marsha even became a Spitz breeder. Her spirit has surely been reunited with her beloved Snooker and Squirt. Marsha’s biggest struggle was with mental illness. Along with her parents, Marsha was preceded in death by her full brother and sister. She is survived by her loving children: Carmen Pilecek, Raquel Salter and son-in-law Michael Salter, Laura Picone and son-in-law Patrick Picone; granddaughter Isabella Picone, two step-grandchildren Robert and Anna Picone, many half-siblings, including Norman and Steven Griffith and Jennifer Zook who were at her bedside when she passed, and extended family. Marsha’s life was honored at her graveside at Ramsey Creek Preserve in Westminster, SC. She’d always wanted to donate her body to science, but when it got beyond what could be donated, she decided upon a “green” burial. Dyches Funeral Home prepared her to be laid in the earth on April 2, 2019. Remembrances may be made to NAMI and the Purdue University School of Veterinary Medicine.